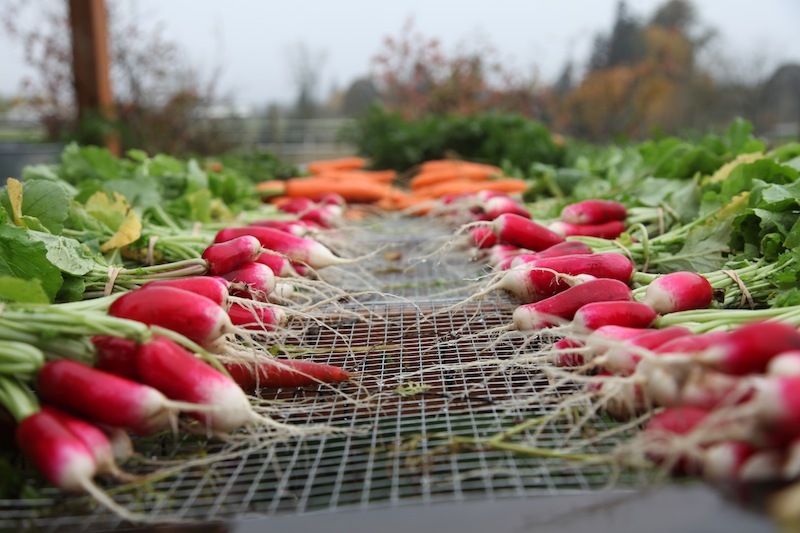 We are offering two options for our Fall CSA…. Home Delivery – Home delivery will be on Tuesday’s during the afternoon between 12 – 5 pm (except for the week of the 18th which is Thanksgiving). Please let us know if there is somewhere specific that you would like us to leave the crate. The last delivery will be on December 11th. Farm Pick Up – Will be on Wednesdays from 4 – 6 pm at the farms address: 12101 SW River Rd. Hillsboro OR 97123 (except for the week of the 18th which is Thanksgiving). The last farm pick up will be on December 12th.